I’ve seen just about anything carried on a bicycle in Amsterdam: multiple cases of beer, furniture (including tables or chairs), Christmas trees, strollers, several suitcase balanced on both arms (while still cycling) or a few children distributed for weight balance. 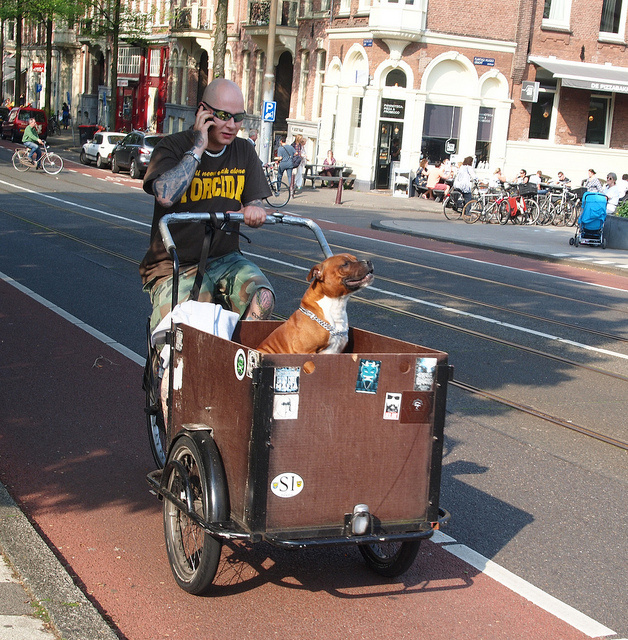 I’ve even gone a bit Dutch myself: moving twice across Amsterdam with a bakfiets (cargo bike). Nothing really surprises me anymore about this bicycle lifestyle – although I’m still fascinated by it. 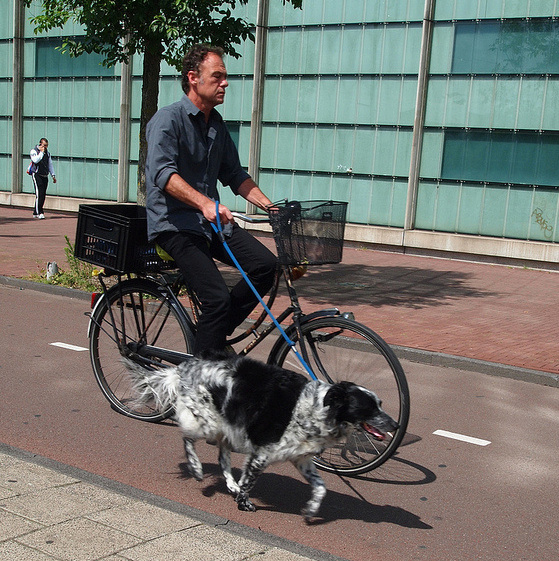 One of my favourite images is the canine-friendly cyclist. 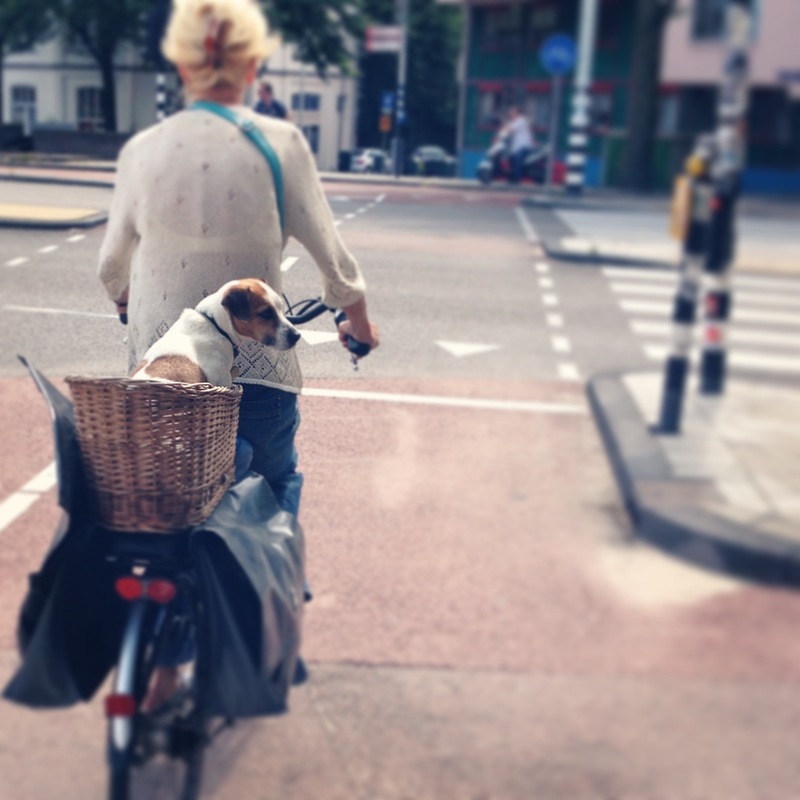 Because well, it’s not only children that are hauled on the back (or front) of bikes; it’s rather common to witness pets join along for the ride. 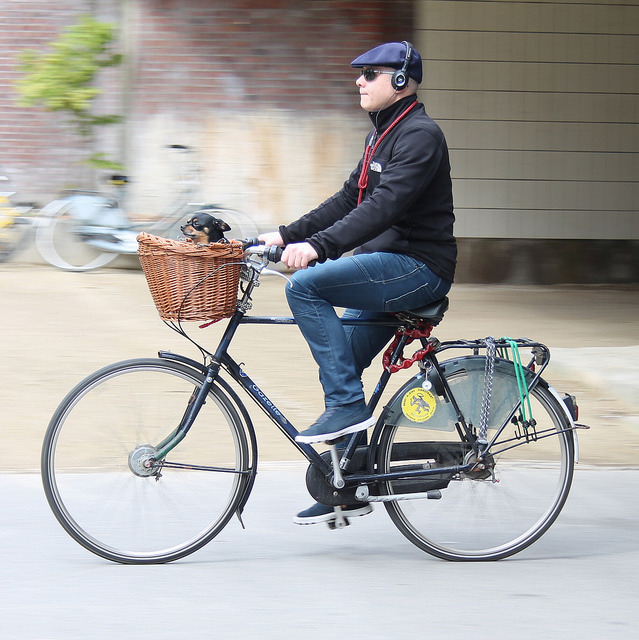 While it appears that dogs are more accustomed to the bicycle, I’ve also seen the occasional cycling cat. In pet stores (and I imagine bicycle shops as well) you can even buy a miniature pet carrier basket to attach to your bicycle. 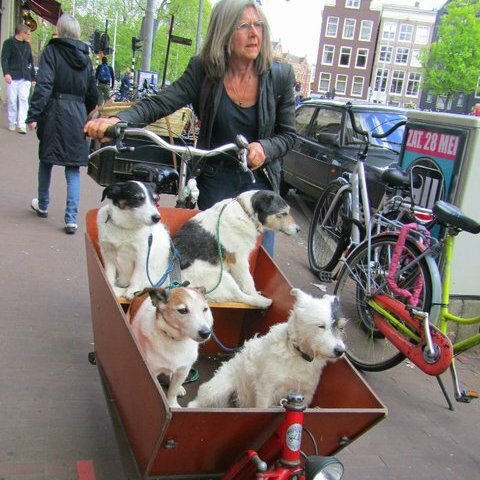 However, these are talented animals; even without the special carrier basket, I’ve seen dogs balance nicely on top of children’s bike seats, on handlebars, in grocery baskets, in saddle bags on the back of a bike, or comfortably relax in the carrier of a bakfiets alone or together with children – one happy wholesome family outing, Dutch style. 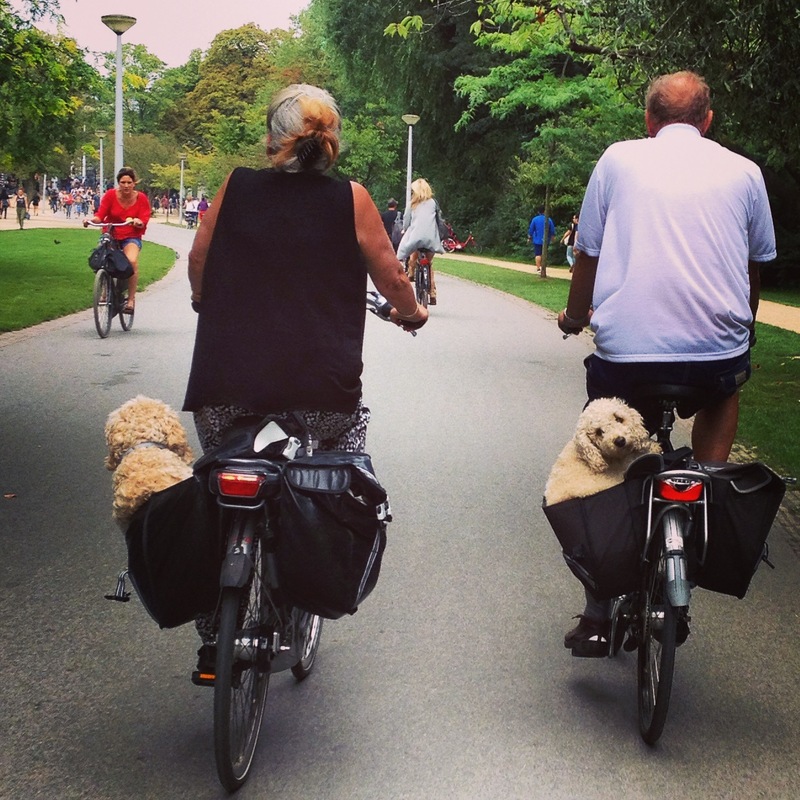 Of course, some pet owners prefer to have their furry companions pacing alongside their bicycles, providing a whole new meaning of take the dog out for a walk. 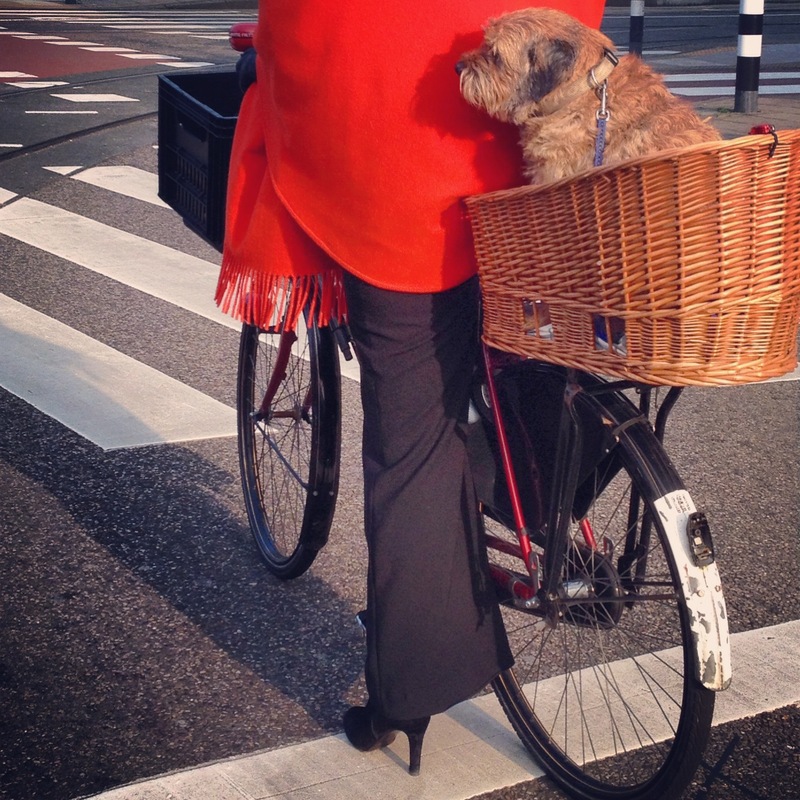 Jenni, I love your blogs and foreign views on Dutch habits (that seem so usual to us Dutch)! 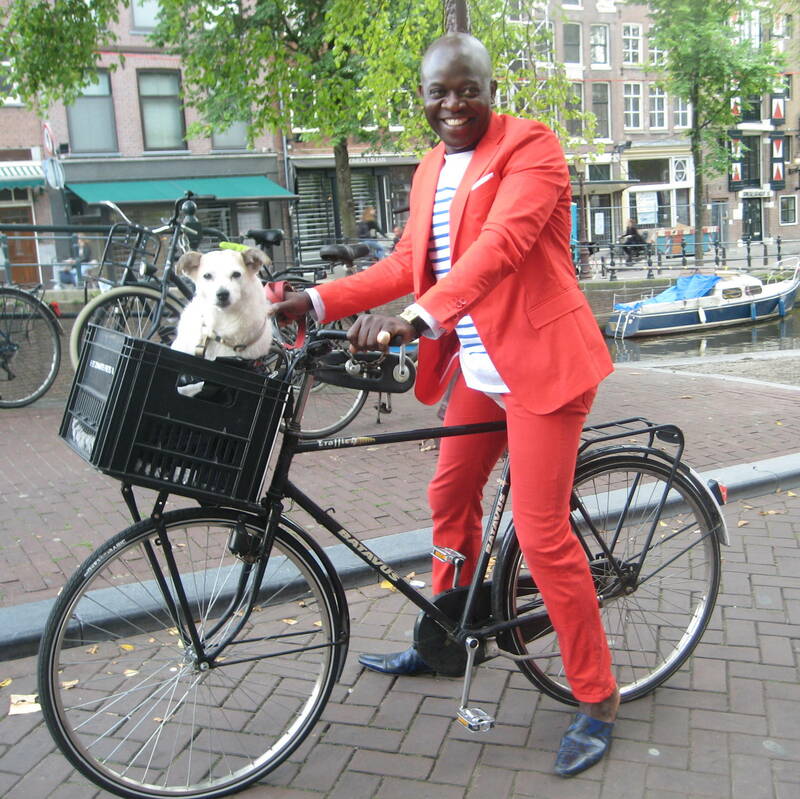 Next Post Happiness is… a bicycle lane, a bus stop or light rail line close to home.